Haranath Chakraborty’s Epaar Opaar with Sourav Chakraborty & Sohana Saba | Epar Opar Bengali Film on India-Bangladesh Chit Mahal Crisis. Bengali TV actor Sourav Chakraborty debut (first) Bengali film Epar Opar. Bangladeshi actress Sohana Saba in Kolkata’s Bengali movie Epar Opar. Renowned filmmaker Haranath Chakraborty is busy shooting of his upcoming project based on India-Bangladesh Border area crisis. Yes, Kolkata based Director Haranath Chakraborty’s next Bengali movie titled ‘Epaar Opaar’ is based on ‘Chitmahal Crisis’. This film revolves around the lives of people living at the border of India-Bangladesh and how much struggle they do daily to live. Famous Bengali television star actor Sourav Chakraborty is making his Bengali Film Debut in this ‘Epar Opar’ film. Bangladeshi actress Sohana Saba is working with extremely talented actor Sourav Chakraborty in this film. ‘Epaar Opaar’ is the second Kolkata’s Bengali film of Sohana Saba, who is also a famous face in Dhallywood. 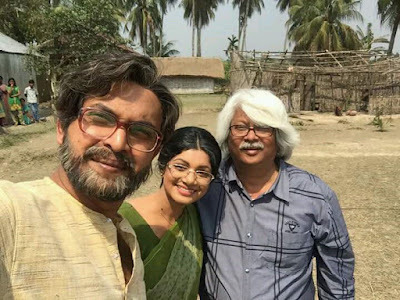 Director Haranath Chakraborty with his ‘Epaar Opaar’ team is busy shooting at various outdoor locations in West Bengal since March 2017. 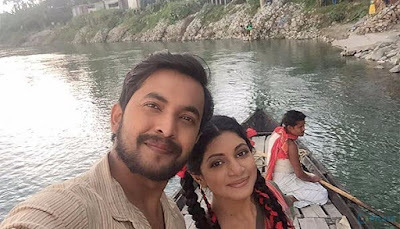 Shooting of Epar Opar Bangla cinema happened at Coochbehar, Nepalganj and other places in West Bengal.